This summer is just flying by and I've been slacking off on posts. 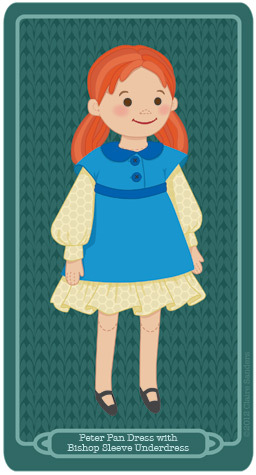 I'm in the process of making a soft doll with a full wardrobe of outfits. 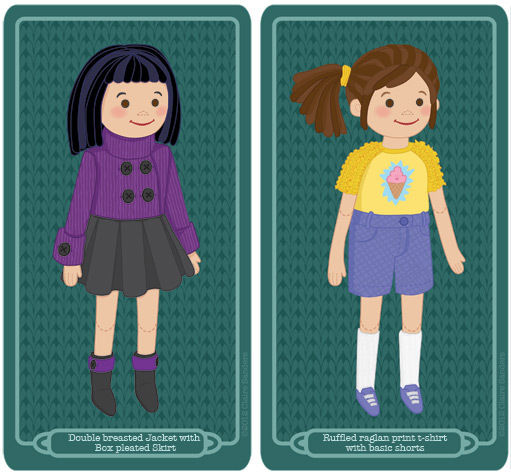 The doll is already in progress so she should be done soon, in the meantime, here are some of the first illustrations for outfits. I'm sure once I make them and get the fabric swatches, the colors and prints will change, but this is what I'm starting with.